Let me tell y'all about Hand in Hand Sustainable Suds! Their Ultimate Skin Essentials Set is all you need in the shower (or bath) to achieve the softest, smoothest skin ever. And there's MORE, honey. All of their products are vegan, cruelty free, palm oil free, petrochemical free, and paraben free. And then there's EVEN MORE! 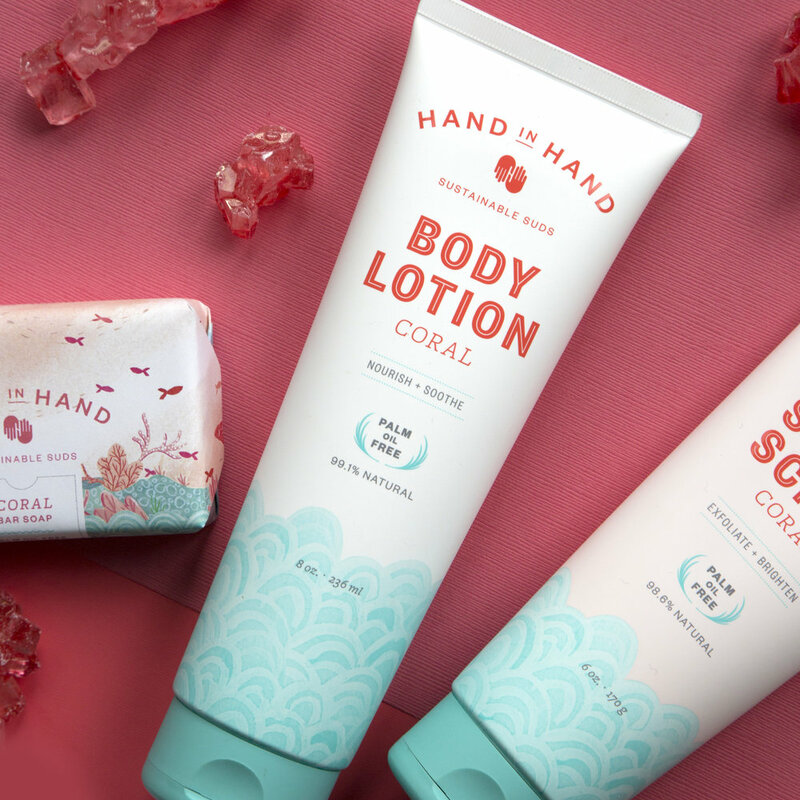 On top of the yummy smelling, hard working products that have major ingredient integrity, Hand in Hand also wants to make the world a better (and softer) place. For every product purchased, they donate a bar of soap + one month of clean water to a child in need. The Ultimate Skin Essentials Set would make a great holiday gift for literally anyone in your life, because there are 4 great scents to choose from and everyone could use a little happy smelly goody sustainable charitable fun in their life. Choose from coral, lavender, orange blossom or sea salt. I am honestly obsessed with all four, so I can't even recommend one to you. Good luck! So get to scrubbing and get to helping people in need, and get over to Hand in Hand and let's make the world better together, hunnies. Hand in Hand Sustainable Suds is Jackie J approved!